Karhu the bear lives in the piney north woods near the bustling burg of Finn Town. When he sees a billboard advertising "Mukluk Ball: Come One, Come All," he wants to go Unfortunately, a few obstacles stand in his path. And then, the most vexing hurdle of all: with the dance set for January, Karhu needs a surefire way to wake up from his long winter's nap. Here, his friend Zazaa the owl swoops in to offer a solution. 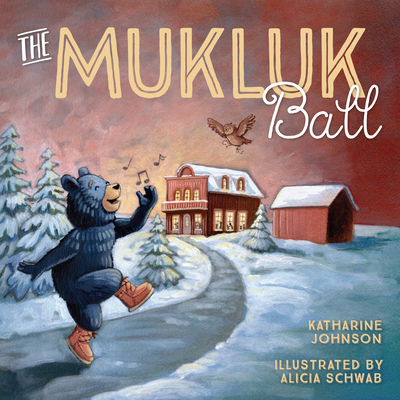 Katharine Johnson wears mukluks all winter in Cloquet, Minnesota; her stories have been published in magazines and anthologies. Alicia Schwab has been drawing and dancing her whole life. She is the illustrator of Good Grief and Great Group Skits.